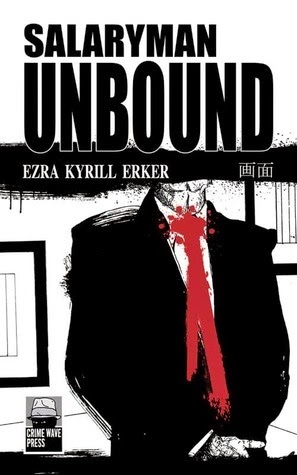 Salaryman Unbound is a stylish, darkly comic novel of psychological suspense. It tells the story of Shiro, a Japanese IT manager with a midlife crisis. He has considered the conventional responses to his sense of ennui – an affair or an unsuitable hobby – but in the end settles on murder. From this starting point, the novel follows Shiro’s attempts to implement his plan and its consequences. He turns out to be a fairly inept criminal. His ideas about detection are based on what he’s read in the papers and crime dramas on TV. He has an almost adolescent idea that he will become sort-of famous as the unidentified perpetrator of an ingenious unsolved crime. He wants to commit the perfect murder by choosing a random victim but when these attempts fail he adapts his plan. He settles on an attractive but unhappy neighbour, Sayuri, as his victim. There are some shocks in this novel for the reader but much of the pleasure comes from irony. Shiro, caught up in his conspiracy, is unable to see what we can. His murderous fantasy keeps brushing up against the constraints of the real world. His interactions with Sayuri and his wife Naomi are particularly well observed. They continually undercut him with their cleverness and practicality. Shiro’s behaviour is both absurd and totally believable. It is also menacing. We are not quite sure what he is capable of, and who might get hurt. The Japanese setting gives the book an additional dimension. The life that seems so banal to Shiro will be unfamiliar to many Western readers. We learn about the texture of the characters’ daily lives – what they eat, what music they listen to, where they go at the weekend. More profoundly, we see how Shiro’s marriage is changed by Naomi’s return to her career and the irreverence of his children as they fail to show the respect he showed his parents. Shiro’s business trip to Thailand and his interactions with his Thai subordinates give an insight into the changing economy. The Japanese salaryman is being challenged on all sides. There is a further irony. As Shiro’s plan progresses, he steps out of his normal world. He takes risks. But paradoxically, he misses opportunities to make bigger changes. There is a pleasing ambiguity in this – his obsession is both changing him and making him fail to see what he really needs to do. The only thing that jarred for me slightly was that the book, while mostly written from Shiro’s point of view, sometimes makes abrupt shifts into another character’s voice. This breaks the spell as we are suddenly outside Shiro’s crazed vision. One of the strengths of Shiro’s narration is that we can see his effect on other characters even when he cannot. However, this is a small point. This is an absorbing and atmospheric novel with a satisfying twist at the end.